As employees in India, each one of us has a Provident fund account! And sadly, not a lot of people know how much money is lying out there! The PF department has gone digital to a large extent and if you have no clue about your PF account, now is the time to start finding out! ii)Employer contribution (12% of BASIC and DA - Out of which 8.33% (or INR 1250, whichever is higher) goes to EPS and the rest goes to EPF. If you don't know your PF account number you can generally findit mentioned on your salary slip. There are 2 formats in which the PF account number can be mentioned - the old format and the new format. 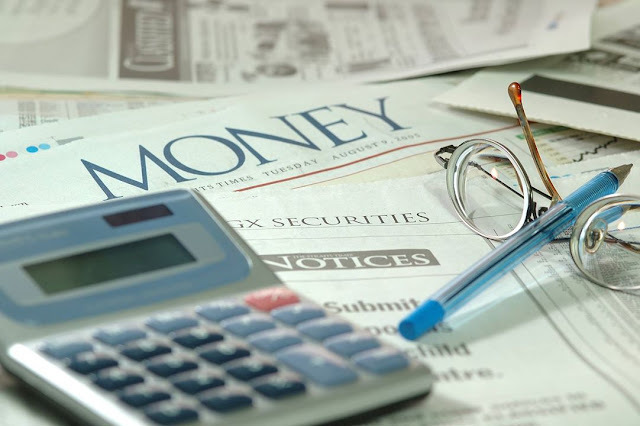 If your salary slip mentions the PF in the old format, you’ll have to find the equivalent new format, since the old format is, well, old and therefore not used anymore. iii) Third part is the 3 digit Establishment extension, which is 000 in most cases. Mostly this is not mentioned in salary slips. iv) Fourth part is your PF account number. The new format is made up of 5 parts. The only change being that the first part, region code, in the old format is broken up into 2 parts. The epfoservices.in domain, which used to host all EPFO online functionalities, has been down for over a month. So now that you know your PF account number, you might want to know how much money is lying out there. And this link will help you find out. Everybody knows the delays one faces in transferring one’s PF account from your previous employer to your current employer. As a solution to this, the government has introduced the concept of a Universal Account Number which remains constant throughout your employment. The new PF accounts are linked to this UAN once you change jobs, thereby making the entire process easier. To find out your UAN, you can either check with your HR department, or you can click the link below. Now you know your PF account number and your UAN. Next up, is registering yourselves on the respective portals. To register yourself on the EPF Member portal go to the link below. Go here to activate your UAN registration. The EPF and UAN portals can be accessed the the links below. The PF passbook, which gives current balance and transaction history of your PF account, can be downloaded at the UAN portal. Now suppose you switched jobs and want to transfer your PF account, This can be done online as well. Go to the member claims link given here. Login using your EPF MEMBER PORTAL credentials. You would need to know your PF account at previous employer as well as the PF account at the new employer. And the transfer claim can be initiated online. Now let’s say you initiated a transfer and are facing delays or have a general query regarding any of your old PF accounts. There is an online EPF Grievances Portal to raise your concerns as well. Click on the Register Grievance tab and enter the required details and your query would be answered to. There are options to Send Reminders and Check Status as well. However, the couple of times I have used it, the response has been quick and within a couple of days. In this section, we will look at how to go about withdrawing your PF and EPS. The withdrawal process has still not been migrated online, and is carried out offline. Depending on your case you would have to submit the appropriate forms to your ex-employer to facilitate the withdrawal/pension certificate/initiate pension. Withdrawal is allowed only if you have quit your job and haven’t found a job even after 2 months. There are specific scenarios where you might be allowed to withdraw your PF even when you are currently employed. These scenarios can be found at the following link. To find out which form you would need to fill for withdrawal check out the link below. 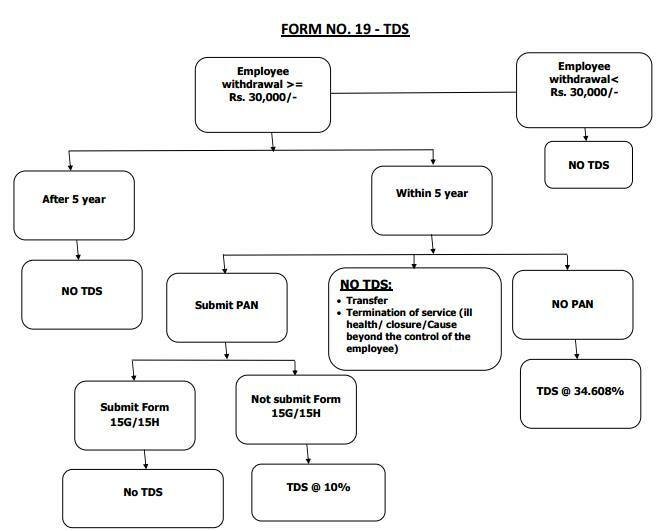 A new process has been introduced (since Dec2015) by which you can directly submit your withdrawal forms to the EPFO office. You don't have to get your employer's verification. 1) You have your UAN generated. 2) Aadhar and Bank details are submitted as KYC documents and verified by the employer in UAN portal. The forms are named as Form 19 UAN, Form 10C UAN and Form 31 UAN. When you apply for withdrawing from your PF account, there are certain rules to decide how much tax you would have to pay. This tax is deducted at source. The rules are as follows. I hope this answers all your questions. If you have any more questions, I would be more than happy to try and answer them in the comments section. Thanks for the information. However is it true that if I submit 15G/15H form then the TDS wont be there. Note: I want to take out my pf amount and have 4 years and 9 months of PF. Tha's right, Anumesh. Once you submit the Form 15G, you won't be taxed. Good one Sagaran.. Very detailed post.. thank you.. The website is being overhauled and most of the links here maybe down. I guess a new website is in the works. Will post when the new one is up and running. IS there any update on the above post as on October 2017 ? Actually, yes! The website and processes have changed a lot. I'll be updating the same soon! I have a PF account which was continued without my permission or knowledge by my newly joined office. Detailed Scenario - I use to work at a company. I left that company 2 years back and now I have joined a new company and I did not provide them(new company) with my old pf details they were somehow able to add their member id to my old pf account. For the above mention reason, I am now unable to withdraw the money which was deposited by my old company through the online portal. Please help, if there is a way I can withdraw the amount? and also, Can they continue old pf account with the employee's permission?